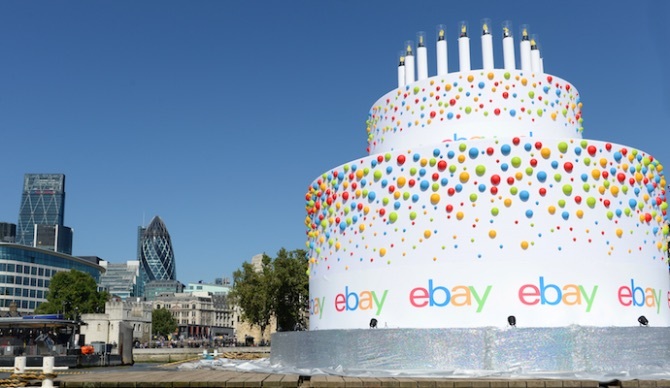 Roberto's team designed, fabricated and ferried a giant birthday cake down the Thames to celebrate eBay’s 20th birthday. The two-tier cake on a foil-tray base came complete with eBay-coloured icing and illuminated candles. Assembled in Tilbury docks, the cake then sailed up the river to where eBay were hosting a party. Unfortunately the cake was made from MDF and ply, so employees weren’t able to tuck in to what looked like a delicious birthday cake!